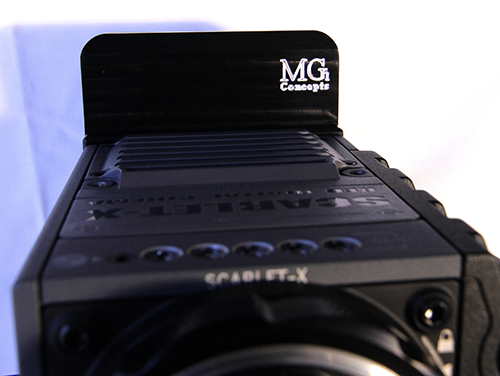 MG1 V-mount Pro with D-plate® is a removable Attach/Detach battery plate as one unit for installing on the back of all RED cameras. Simply hand tighten M4 supplied shoulder bolts onto back of your RED camera then sliding the D-plate® through and dropping down making a secure and tight fit. Brilliant…!!! - Mounting options – Top, Side or Bottom: (15) 1/4-20″ threaded holes. - NEW MG1 Wingnut Knob – Red/Black/Silver – Choice of one. 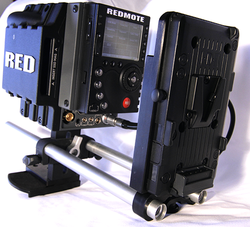 - Easier and quickest plate removal from M4 bolts off of RED camera. - User upgradeable power cable. Easy to remove for all shooting styles.